I received a preview copy of The Ghastly McNastys: Raiders of the Lost Shark from NetGalley. This book is about two pirates who get swallowed by a whale and coughed out back onto Little Snoring Island. 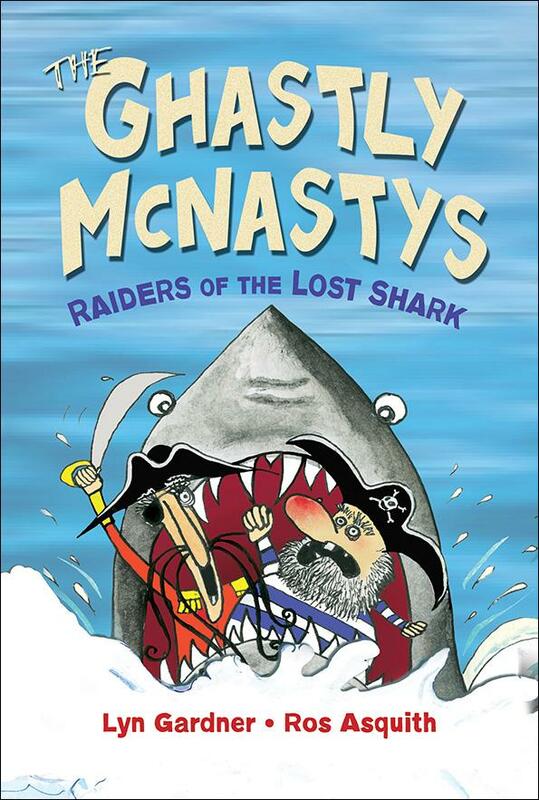 Soon they find out that Captain Sid's lost treasure is buried in Little Snoring's castle. Luckily, there is a pirate movie shooting there. Tat and Hetty hear about the treasure and also go to look for it. Who will find it first? I really liked this book because the two pirates are always trying to get the treasure but they never make a plan for how they should get the treasure. They just go straight ahead into whatever they think sounds good. I also like this book because Tat and Hetty always manage to outsmart the pirates. Read my review for The Ghastly McNastys: The Lost Treasure of Little Snoring, the first book in the series.